One of the dilemmas we face before Christmas is how to decorate the Christmas tree. There are enormous variety of ornaments to choose from. But are they unique? Do they have any additional value? Our team wants to introduce to you best of the best handmade ornaments, that can be carried through generations. 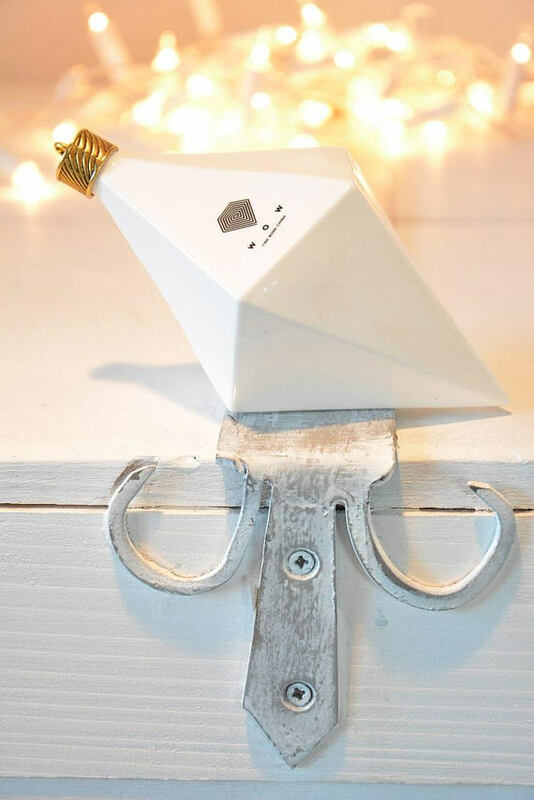 Modern classic porcelain ornaments inspired by geometric figures that can be incorporated in all styles and themes decorations. Porcelain Ornaments by WOWporcelain. 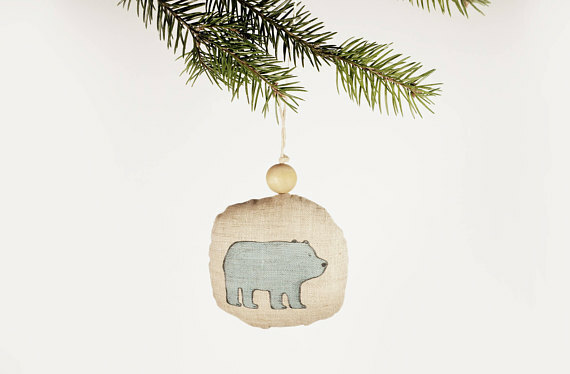 Invite a polar bear to your home with Linen Fabric Ornament with Eco Print by Forestfeeling. Believe that anything is possible and all the dreams comes true with unicorn ornaments. 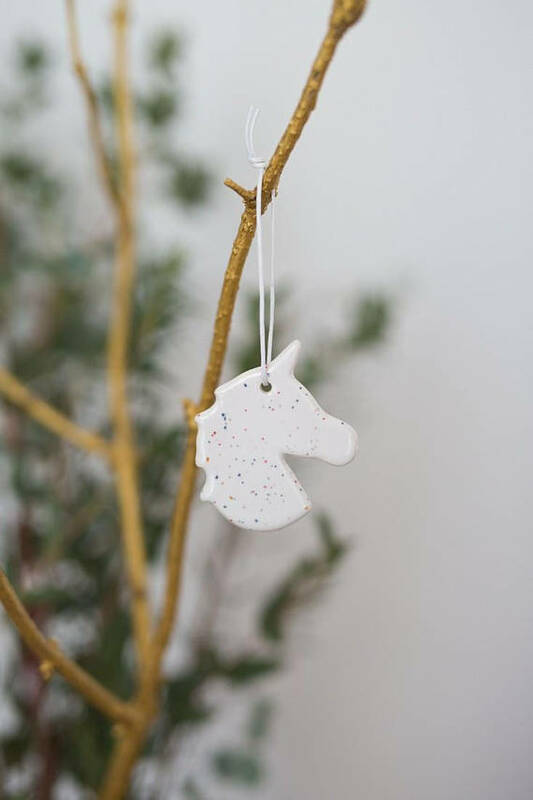 Ceramic Unicorn Hanging Decorations by MadeByUgne. Scented sachets and Christmas ornaments in one. Decorate your home with fabulous Christmas fragrances. Scented Linen Fabric Christmas Ornaments by MiLiCrafts. Rustic, natural and woodland all in one. 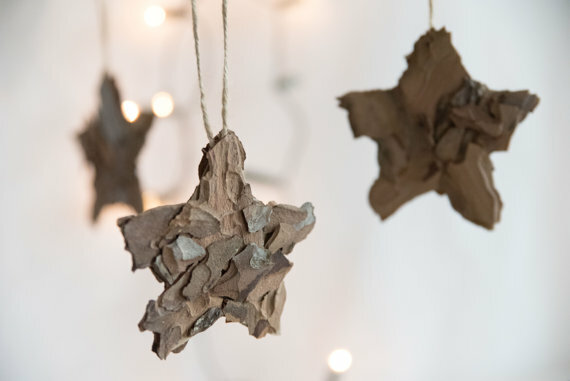 Natural and eco-friendly stars made from fir bark collected at a coastal forest. Fir Bark Christmas Stars by Kaleda. 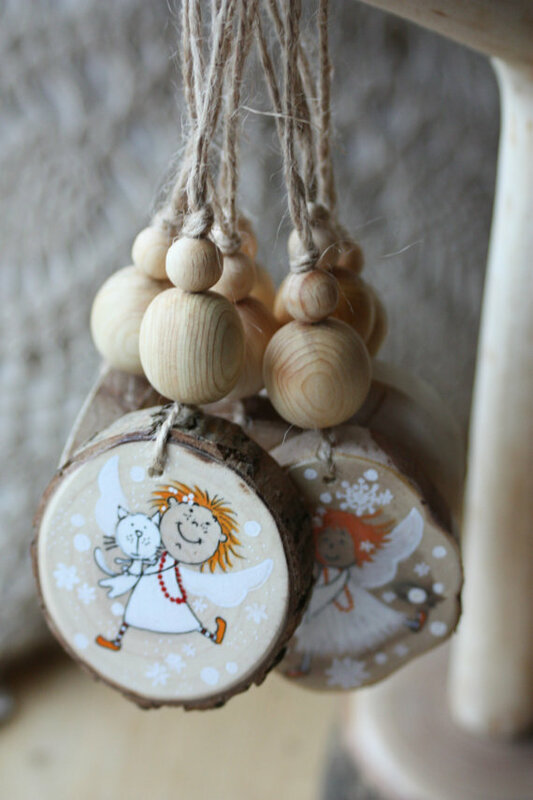 Little guardian angels watching for you from the Christmas tree will protect you and bring true Christmas spirit to your home. Hand Painted Wooden Ornaments by GoodMoodWoods. 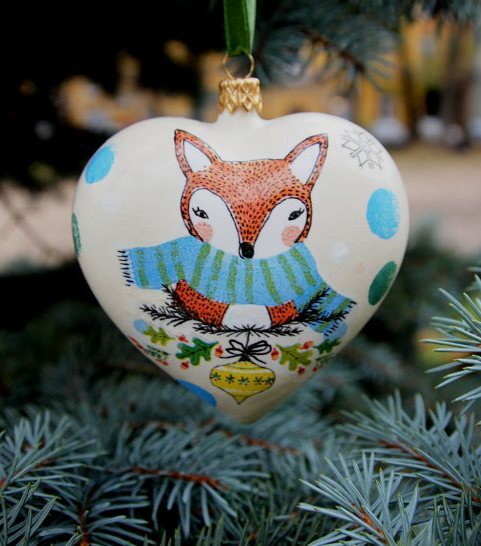 You will never miss by choosing woodland theme for Christmas decorations and what can be better than this cute little fox on the bauble. Decoupage Christmas Ornament by DumontsHandicrafts. 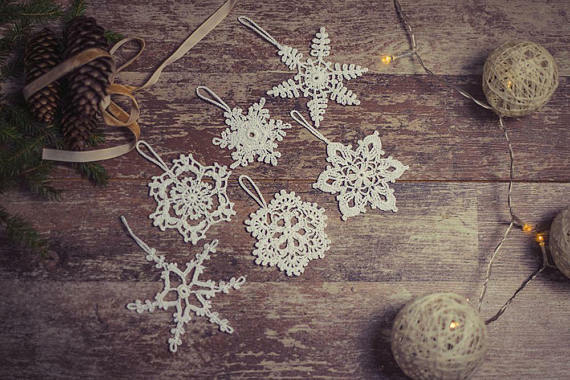 White Christmas with snowflakes falling down is so beautiful and even if you never have snow during festive season these crochet snowflakes can be a perfect replacement. Crochet Snowflakes by SnowflakesStories. It sparkles in a different way. The ball is decorated with natural Baltic amber, which is the stone of love, warm, success and family. 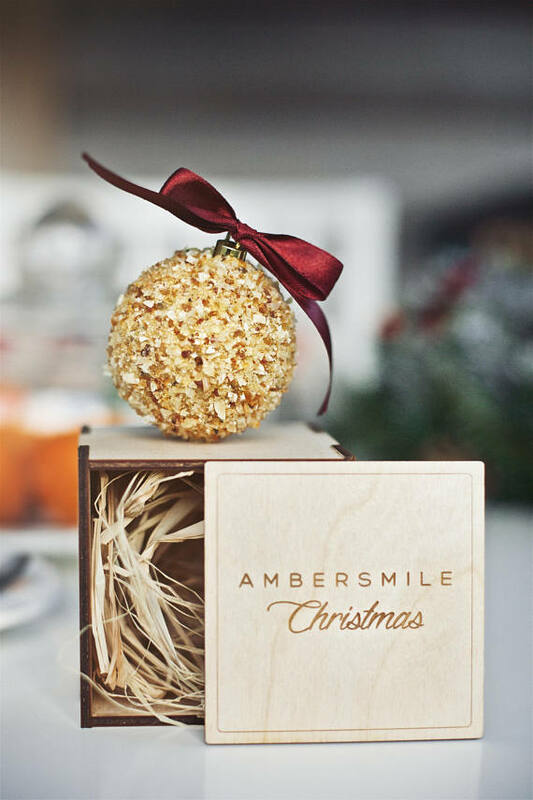 Christmas Baubles with Baltic Amber by AMBERSMILEboutique. Coloring Christmas ornaments is a fun activity and great family time together. And the most important thing is that you will have one of the kind ornaments and great memories. 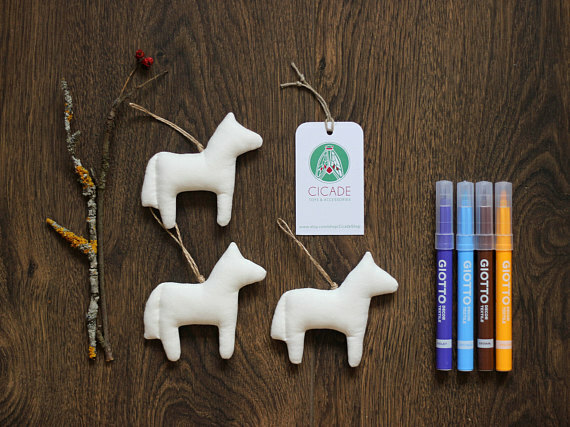 Coloring Christmas Tree Ornaments by CicadeShop. wow, so many beautiful finds!